There’s been an ill wind blowing through Homeland and Crysis developer Crytek for the last few months. 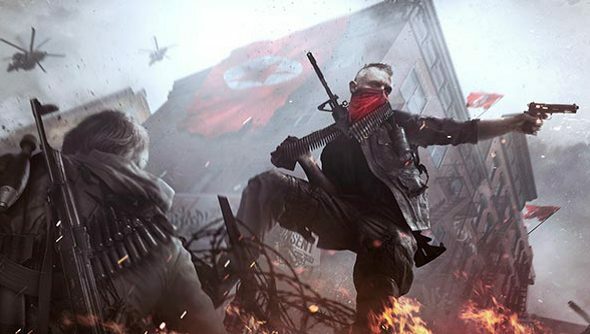 Employees in at least two Crytek studios were reported to have not been paid, This lead to, according to sources speaking with Kotaku earlier this month, 100 employees at Crytek UK walking out. Crytek denied that the company has been in dire financial straits, even as reports of staff grievances continued. Today, Crytek made a statement to GamesIndustry International explaining that it has been in a “transitional phase,” going from a developer to an online publisher. “Internally, we have acknowledged that the flow of information to employees has not been as good as it should have, however we hope you understand that communicating details of our plans publicly has not always been possible,” Crytek explained. The statement goes on to assure that the foundation for Crytek’s future has been laid, both in the short and long term.